Periods pain is an experience that many women endure every month. They can result in horrific cramps, mood swings, fatigue, feeling faint, intense spasms, and nausea. It can also be sometimes coupled with pain in the lower back and thighs. There are often physical and emotional symptoms involved with Pre-Menstrual Syndrome (PMS) and period pain. This includes symptoms such as acne, headaches and backaches. In addition, women usually experience swollen breasts, tiredness, trouble sleeping, and appetite changes. There may also be joint and muscle pains and consistent cramps in the uterus. These can make it difficult to even perform every day tasks. PMS symptoms affect around 30% of women.. The symptoms can range from moderate to severe in many cases. They can begin and then increase in severity due to times of marked hormonal changes. This most notably happens in puberty or when taking/stopping contraceptives. It is also experienced after pregnancy or following a post-natal depression, sterilisation or a termination. Numerous treatments for PMS are available and this can include lifestyle changes or medical intervention. The medical treatments may involve therapies that suppress ovulation or create chemical imbalance within the body. Safer options for managing PMS include reducing stress, limiting alcohol and smoking. In addition, following a healthy diet and lifestyle could provide best results. 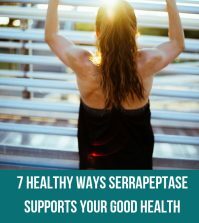 Serrapeptase can provide effective and natural relief for period pain and the symptoms of Pre-Menstrual Syndrome (PMS). It can do this because of its naturally occurring enzyme properties. 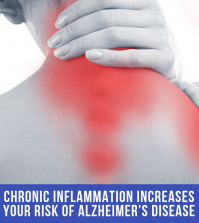 This enzyme can dissolve inflammation in the body, providing fast and effective pain relief in the process. Serrapeptase is a safe and effective means of removing inflammation from non-living tissue. It does this while leaving the living tissue unharmed in the process. Period pain often occurs due to the muscles cramping and then releasing voluntarily. It affects the lower abdomen and back, resulting in mild to severe bouts of cramps. Women who experience this may find themselves feeling debilitated and accompanied by mood swings. 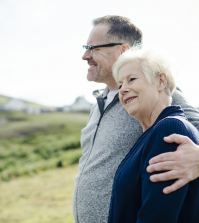 They may also feel less likely to want to go about their every day activities. Taking Serrapeptase and implementing healthy lifestyle changes by taking the right nutrients as found in the Pre-Menstrual Syndrome (PMS) Health Plan to improve the symptoms is a big help. 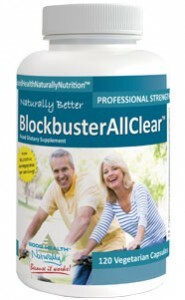 BlockBuster AllClear™ available from Good Health Naturally is helpful for anyone looking to improve their period pain and to find relief using the naturally occurring enzyme known as Serrapeptase. This formula contains Serrapeptase and Nattokinase that aids in clearing inflammation and supporting the healing process. It can provide fast and efficient relief for a wide range of painful symptoms associated with PMS (Pre-Menstrual Syndrome). El dolor del período es una experiencia que muchas mujeres soportan cada mes. Puede causar calambres horribles, cambios de humor, fatiga, sensación de desmayo, espasmos intensos y náuseas. También puede venir acompañado de dolor en la parte baja de la espalda y los muslos.